Why we need to say the words "physician, heal thyself" now more than ever. When we go to the doctor, be it a PCP, an ER room, a specialist or a surgeon, we've typically got our own aches, pains or health concerns on our mind. Seldom do we pause to consider what the doctor might be going through. This isn't necessarily shortsighted or selfish of us; after all, we probably don't pause to think about our mechanic's mood when we tow in our stalled car, just as we likely don't ask the hotel concierge if she's feeling overwhelmed amid ringing phones. But doctor burnout has long been a serious issue in the medical community, and it's getting worse. A recent survey from Medscape found that physician burnout jumped from 40 percent in 2013 to 51 percent in 2017. A survey from MDVIP, found that the vast majority of doctors (83 percent) feel that they're spread thin and unable to spend enough time with their patients, and three out of four say they’re not getting enough sleep because of work stress. “The symptoms [of burnout] are fatigue, situational sadness, increased hunger, decreased sleep, increased stress and anger, decreased job satisfaction, decrease in connection with patients, avoiding friends and family, increase in alcohol and sedentary activities, poor diet and lack of motivation to exercise or to travel,” says Dr. Devjit Roy, a family medicine doctor who says he has suffered from burnout. Suicide is the second leading cause of death among medical residents and the most common cause of death among male residents. And burnout can be fatal. Suicide is the second leading cause of death among medical residents and the most common cause of death among male residents. Increasingly, doctors are understanding that we need to open up about this issue if we're ever going to make a difference. But it isn't easy. Doctors, as Dr. Fred "Kip" Wenger an emergency medicine physician and the regional performance medical director at TeamHealth says, "make terrible patients." Wenger has been dedicated to educating people on burnout after having lost numerous colleagues to suicide. "We call it burnout, but what these doctors are really experiencing is depression," says Wenger. "I've worked [as a doctor] a long time, and honestly, I don't think I've had burnout, but recently I started counting the number of doctors I knew who had taken their own life and all of a sudden I had more than a handful." A case that particularly devastated Wenger was that of a brilliant young doctor he had been trying to recruit. She ended up turning the job down and soon after ended up in Wenger's ER as a patient. She died during surgery of self-inflicted stab wounds. Wenger posted a video documenting the experience and called on fellow physicians to speak out if they're struggling. "After the video was posted, I had three different residents come up to me and thank me for bringing it up, saying they've been there," says Wenger. "I just had no idea of the extent of the issue." 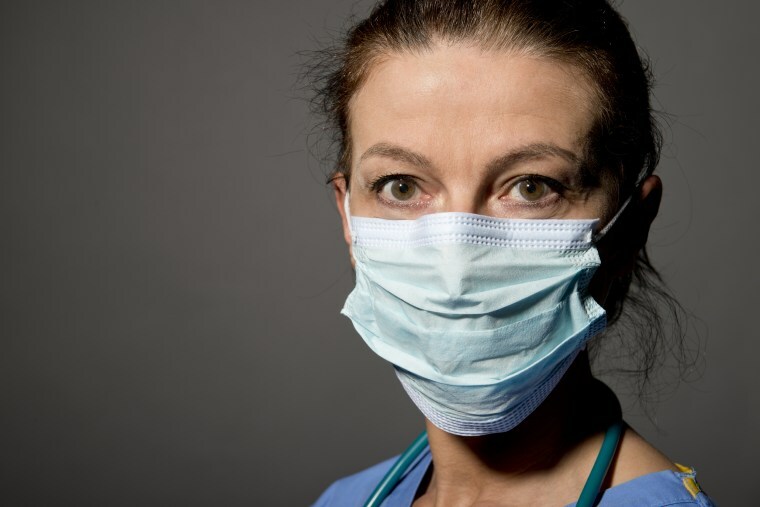 However willing to address the issue of burnout in the medical community at large, doctors may be reluctant to discuss their own suffering for fear of being frowned upon by their colleagues. “There is an overall culture in medicine that looks down on or shames individuals that complain," says Dr. Edna Ma, a physician anesthesiologist. "Physicians that complain are perceived as being weak or inadequate for the medical profession." Dr. Antonio Webb, an orthopedic surgeon and Iraq war vet notes some similarities between the military and the world of medicine. "I was diagnosed with mild PTSD, and there's the same stigma in military: nobody wanted to talk about it," says Webb. "I bottled it in until I was forced to get help, and I see the same thing in the medical field, especially in surgery. You don't want to be categorized as weak or complaining. But it's getting worse. Every time you turn around another doctor has committed suicide." This culture of suppressing one's vulnerabilities often starts in med school, where students are pushed to prove themselves, build a stiff upper lip and plow through intense workloads without pause. And the likelihood of burnout on the job is typically not something that is explored in medical school, so doctors who suffer from it tend to be unequipped to cope with it. "There should be classes on dealing with these issues in premed," says Webb. "They teach us how to treat patients with [depressive] symptoms and suicidal thoughts but they don't teach us how to respond if we're having them ourselves." Another underlying issue here seems to be that the medical world has been slow to embrace what has become so prevalent a topic in other white-collar industries: the importance of work-life balance. There are many reasons why cases of doctor burnout are spiking over recent years. More than a couple of the doctors I consulted brought up the time consuming chore of having to be at the computer dealing with electronic medical records rather than with patients. There’s also the fact that doctors are graduating with more debt than ever before and facing greater pressure to be the perfect doctor, in a sense. Dr. Rahul Sharma, emergency physician-in-chief at New York-Presbyterian/Weill Cornell Medical Center and his team have been tackling burnout head on by piloting a new physician-led wellness plan. Among the program essentials: mandatory half-hour lunch breaks, medical scribes to help doctors with documentation so they can spend more time with patients, a peer-support program, family-focused events, and even telemedicine shifts. “As an ER physician you work these busy shifts that can take a toll,” says Dr. Sharma. “We allowed some of our senior attendants to work some shifts in telemedicine which has made a tremendous improvement in their work life balance. They work in a room offsite and see multiple patients at home or in ER via video. This enables them to focus on being doctors without being in a busy hectic department." Launched just over a year ago, the program has been lauded by staff and patients, and it's also helped shed light on a common problem. "It's been so taboo to talk about burnout in professional setting and we're trying to crack that perception so that people are now ultimately talking about it," says Sharma. "Once you have people talking, great ideas come to fruition." Hopefully more hospitals will implement programs that show they value their doctors' health as much as they value that of their patients. But often burnout is something doctors have to learn how to deal with on their own. It takes no shortage of courage to recognize that you can only carry so much stress before you buckle and collapse, and that there’s no shame in preserving your own health — that in fact it’s the more responsible choice. How can we promote wellness, if we aren't well ourselves? Dr. Crystal Moore, a pathologist, reached the very end of the rope with burnout before coming to understand this sentiment and now preaches the motto, “Physician, heal thyself.” She was the sort of doctor who deeply took on her patients’ pain and often felt, no matter how illogical it was, that their bad diagnoses were somehow her fault. Dr. Ma has also learned to make some uncomfortable changes that in the long run have helped keep her sane and happy. But it took a pretty horrific wake-up call. "After three female physician suicides in our one small hospital, I opened my eyes and accepted that my focus on my career was transforming me into someone I didn't like," says Ma. "Since then, I have learned how to say 'No, thank you' to the add-on cases, and risk others' judgment. Saying 'no' is a lot harder than 'yes,' but in the long run, it has been better for my mental well being."